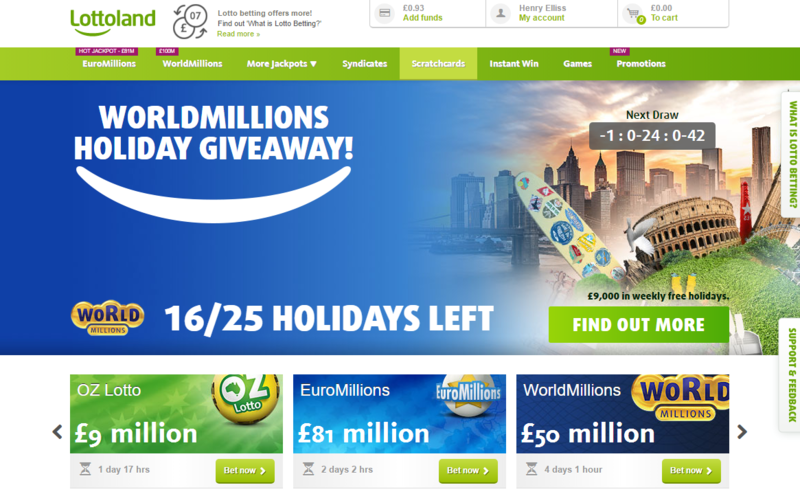 iew offer was a bit of a new one to me – I was contacted with the offer of reviewing a new Lottery-based website, called LottoLand. I was also give £25 free credit to try out some of the games on offer – gambling with somebody else’s money is definitely a lot more pleasurable after all!! So, with my credit added to my account, I gave Lottoland a spin (pun intended) to see what they offered. Now Lottoland isn’t like the regular lotto-based sites (not that I’ve used any others, mind you) as you’re not betting in the “regular” draw – you’re betting on the results of the draw, but with a completely different (and, I assume, smaller) audience base. 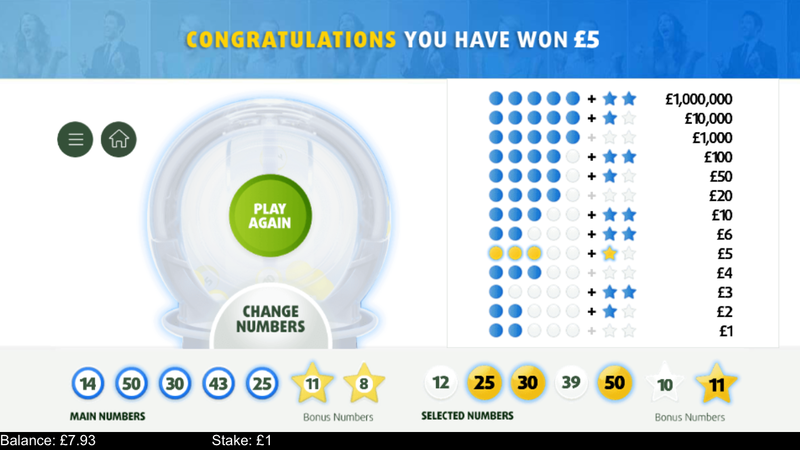 So if I decide to be on the regular UK National Lotter, LottoLand will use the numbers drawn in the official draw, and will match the top prize on offer, but you’re getting it from their own prize pool, rather than the lottery. Well, at least that’s as far as I could figure out, anyway! 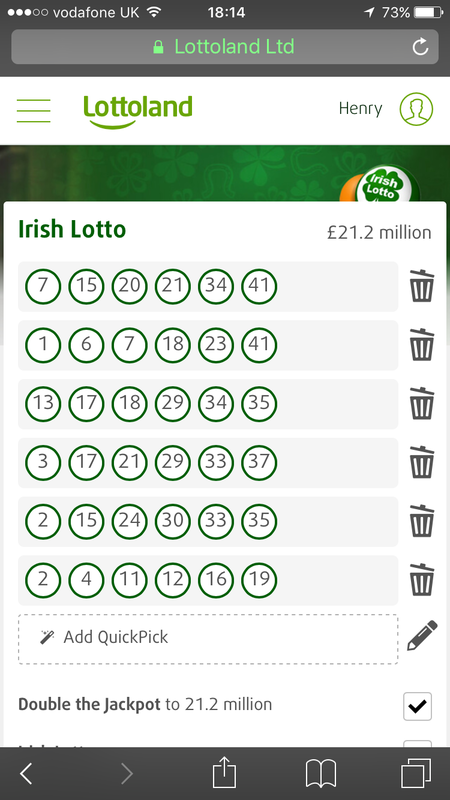 I already do the National Lottery each week, so I decided to put my money on a draw I don’t usually have access to – the Irish Lottery. I picked 5 random tickets the evening before the draw (because I’m very impatient like that!) and spent my remaining credit on some “instant” win online games, all lotto-based as well. £5.93! Which sounds small, but it’s more than I win on the normal lottery most weeks! Needless to say I instantly rang my boss, quit my job and am now making enquiries about tropical islands I can buy. The whole process is very simple and easy to understand, and the site has a very mobile-friendly version as well. I’ve even added a bit more funds to my account so that I can try my hand at some of the other international lottery games, especially when they’ve got a big jackpot coming up. If you’re into having a flutter once in a while, I’d definitely recommend Lottoland as a good place to try.